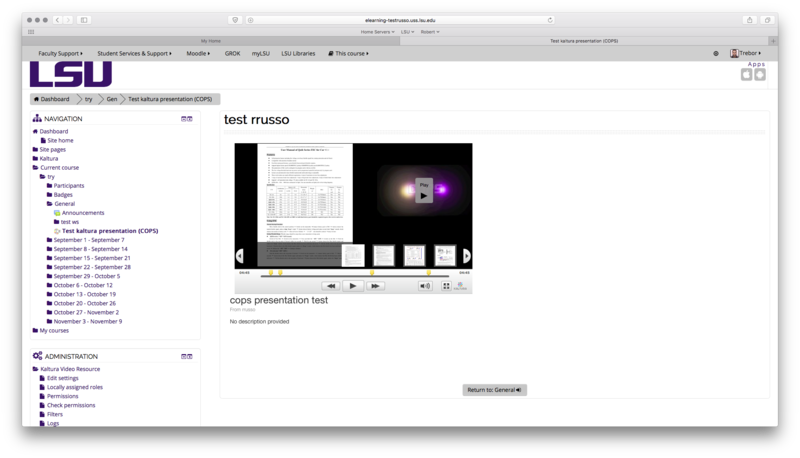 Kaltura is a streaming video service that plays media files inside of Moodle. This article will go through the process of viewing a Kaltrua Video. 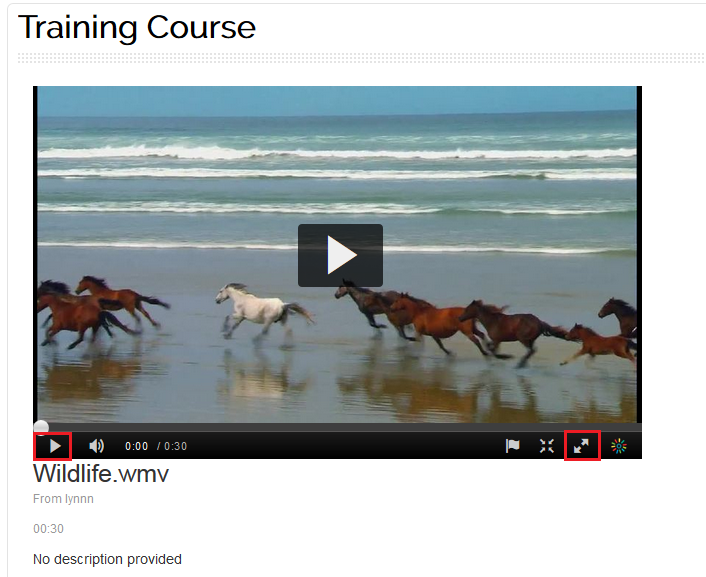 1.Log into Moodle and click on your course. 2. Locate and click the title of the Kaltura Video Resource. 3. Click the Play button at the bottom of the video window. You also have the option to make it Full Screen by clicking on the diagonal arrows on the bottom right. If the Video Resouce is a Kaltura Video Presentation, you will have the ability to navigate forward and backward throughout the presentation. You will also have the ability to make it full screen.